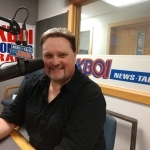 Boise (670 KBOI News) – As Southwest Idaho grows, the caseload of judges in 4th District Court is growing, too, but they’ve not gotten any new help since 2013. A bill making its way to the Idaho House floor for debate would change that…Senate Bill 1043 was introduced into the Judiciary and Rule Committee. And that has led to unworkable caseloads, Spillman said. The Committee voted to send the bill to the Senate floor with a do-pass recommendation…Senator Scott Grow of Eagle will sponsor it on the floor.